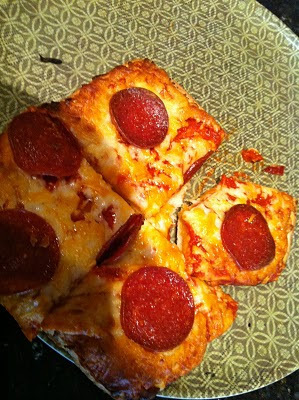 lc blogs: easy DIY pizza. Alright, in this state of snowmergency I've been getting tons of e-mails and tweets asking me for recipes and ideas on how to keep warm with some yummy food! I can't keep this yumminess to myself any longer. Here's a step-by-step photorial on an easy, breezy DIY pizza for one! ENJOY! Step 1. Buy a pizza from your local grocer. You can choose the brand! 2. In all likelihood the brand you choose will have a pull-tab. PULL IT! 3. 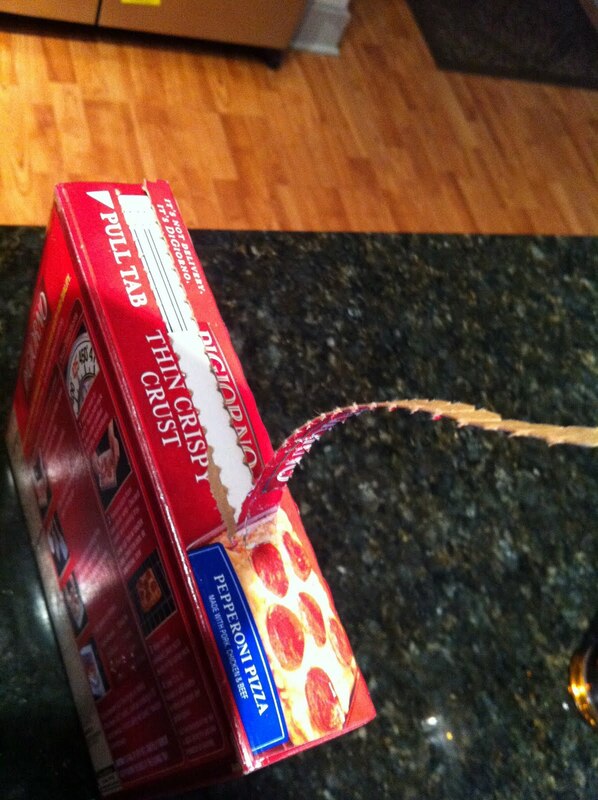 Slide pizza out of box. 4. Place pizza (remember: you can choose whatever brand YOU want!) on cookie sheet. 5. Place pizza in the oven. The box says to pre-heat the oven to 425 degrees. So, do that. 6. Remove from oven. Place on a plate. 7. Slice the pizza. You can use a knife or a fancy-dancy pizza cutter! Mamma Mary and I are LOL'ing at your phototorial. You're a mess. Love you for it. Thanks for that. No, really. The saddest part is that when you told me there was a blog that would blow my mind...I believed it. This is your sponsor talking. Drop the chalupa. Don't give in to the boxed pizza. WWDD? What would Dina do?? Imma need you to get your tookus to Costco and at least get their pizza. And use your fancy Nancy pizza cutter. Then you'll crack open your boxed wine and pass out. And you'll feel shame in the morning. So do you think Ramen noodles are snow food?